I discovered them online around two months back. They create cold process handmade soap devoid of chemicals, fillers, and artificial colors. Moreover, they make it from scratch - no use of soap noodles or ready-made soap base. Even the base oils used to create the soaps are of edible grade. 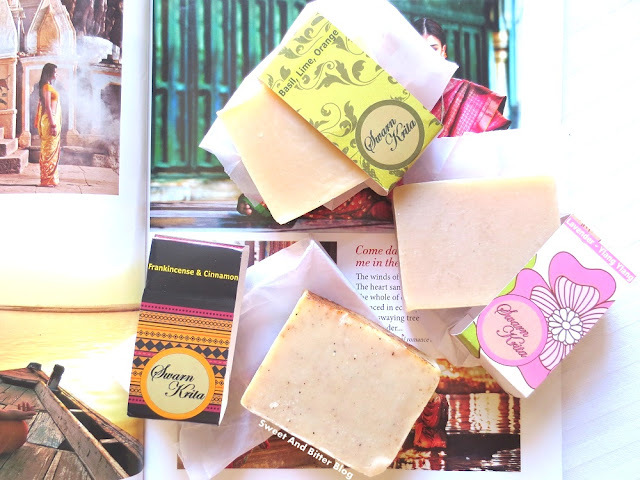 Unlike the usual ones sold in the market, they have unique blends of essential oils in their soaps. I was amazed by the blends. 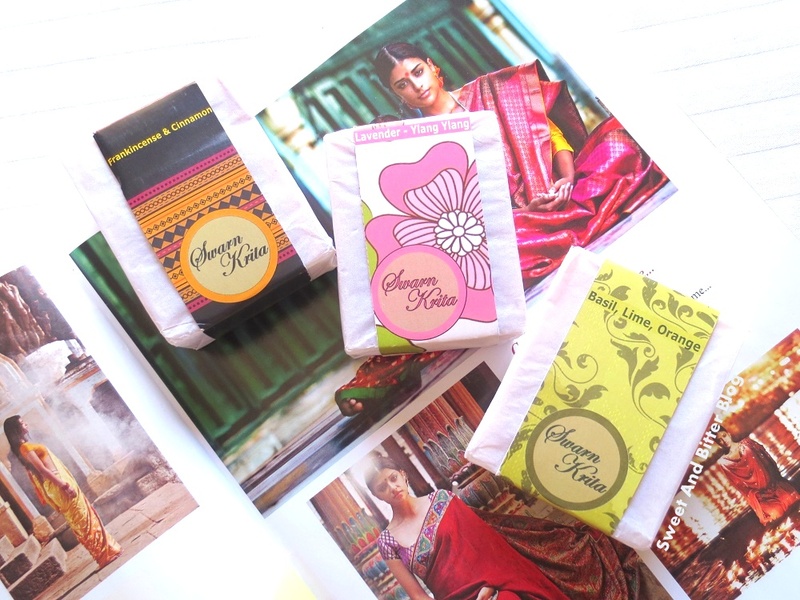 The soaps do not have a strong fragrance nor they transfer to skin but, they are noticeable while using. 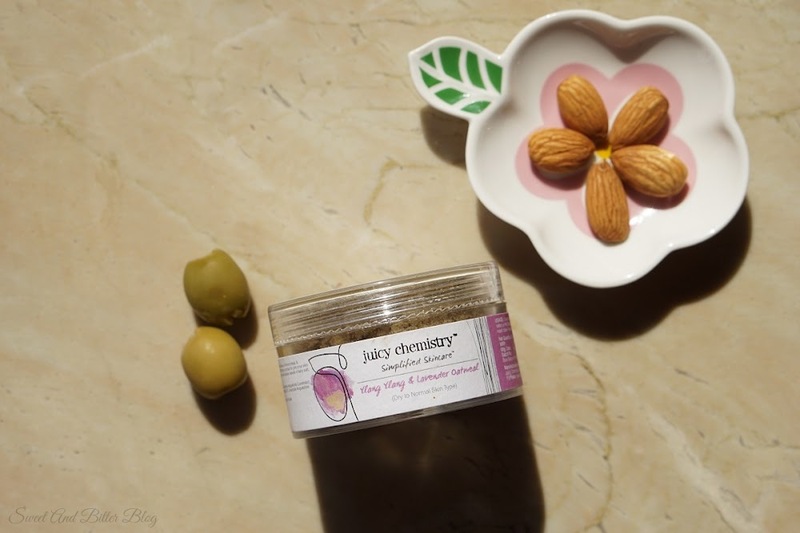 They lather easily and cleans without drying or irritating skin. 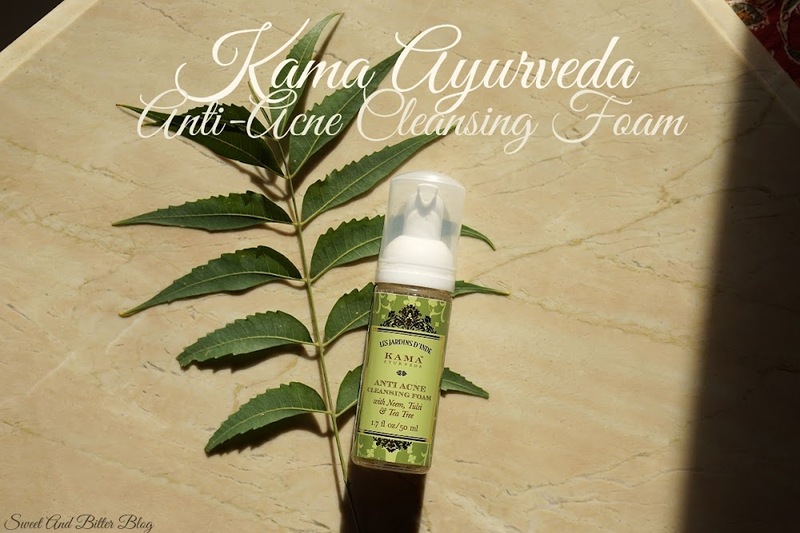 They are gentle and I even used it on my face without any issues. But, what makes it better than most handmade shop is they are properly cured. 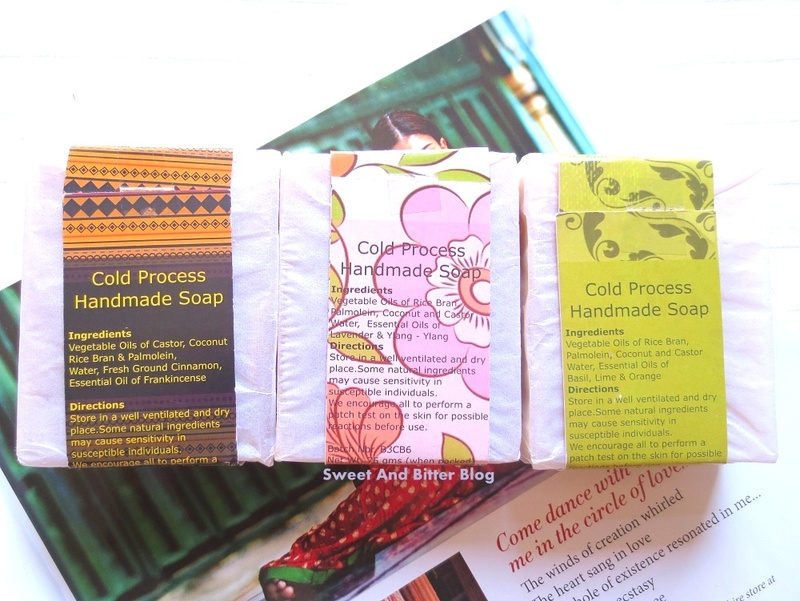 'Curing' is keeping the handmade soaps for weeks (Swarn Krita does it for 4 weeks!) to make sure all the water is evaporated resulting in hard and long-lasting soaps which give rich lather and are milder. Properly cured soap does not get mushy nor do they foam for a layer of water beads when kept in the bathroom. Hence, they last for a good amount of time. To test this, I cut a part of the soap and kept it my bathroom. Even after use and even after staying there for weeks, they didn't get soft or form a layer of water on top. I repeated the same here in Kolkata (because it is more humid here compared to Ahmedabad) and interestingly got the same results. Thumbs up for proper curing, Swarn Krita! 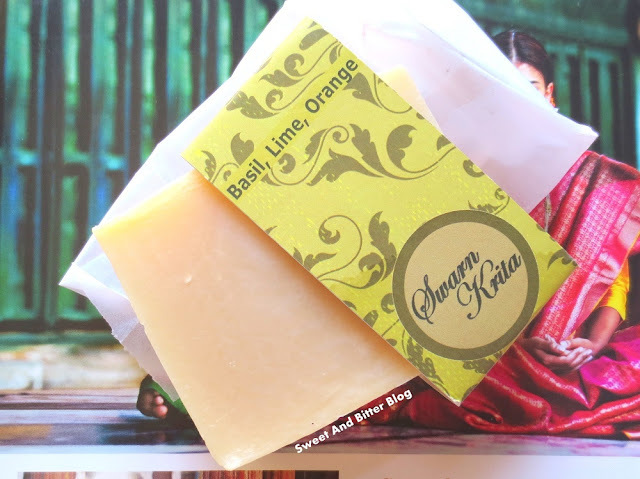 Swarn Krita Basil, Lime, Orange (Rs 240 for 75g) - Smells majorly like basil which is rejuvenating along with a hint of energising orange. 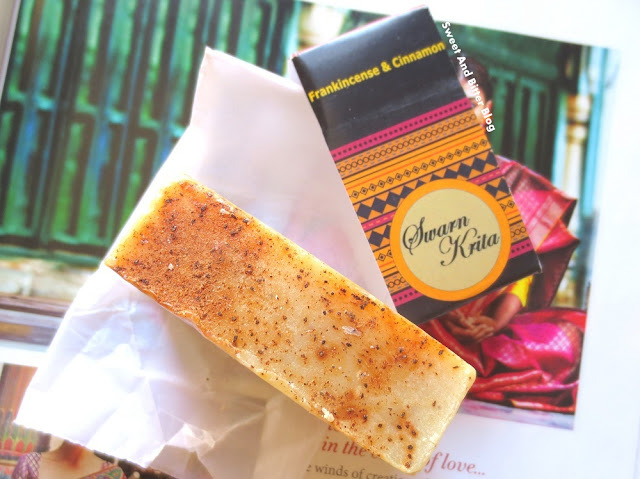 Swarn Krita Frankincense & Cinnamon (Rs 200 for 75g)- This is a gentle exfoliating soap with freshly ground cinnamon. This has a unisex smell and I think even guys will enjoy it. 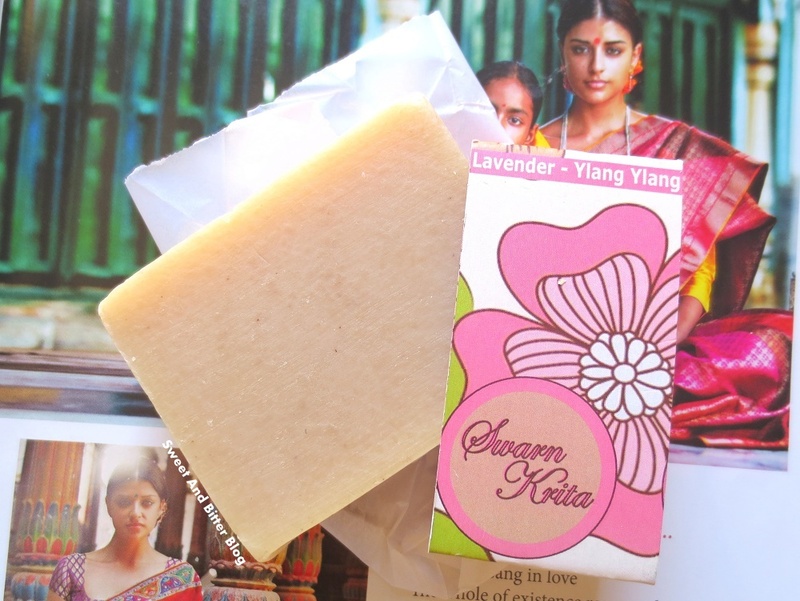 Swarn Krita Lavender & Ylang Ylang (Rs 240 for 75g) - Smells like a soothing baby soap. This is my favorite. Lavender is becoming my top favorite these days. 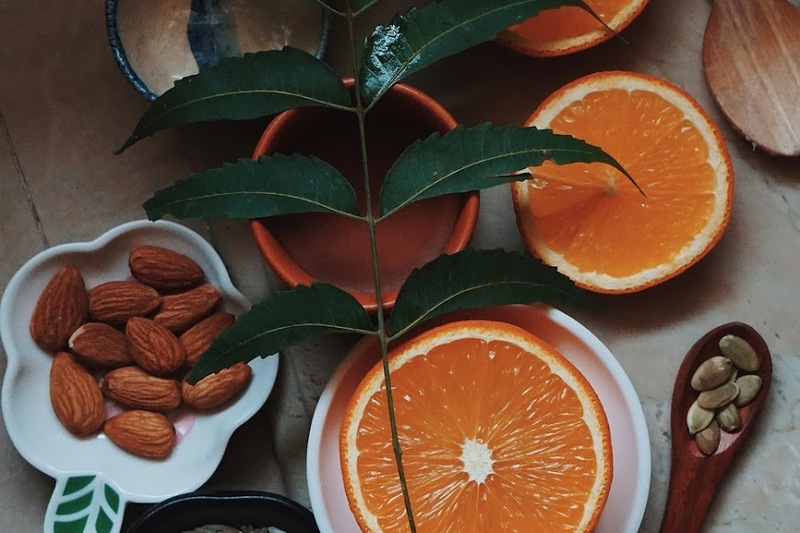 Overall: Time and time again I encounter people who are passionate about the natural products they create, the time they put into it and the handwork that goes behind it. 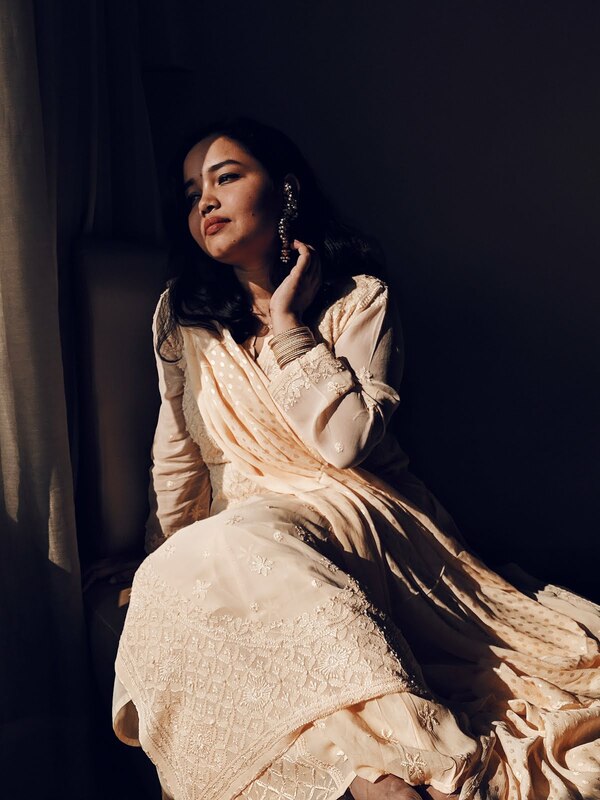 I am delighted to discover another brand like that - Swarn Krtia. The person behind the brand is Rohini. For orders, you can contact her on WhatsApp 9899792472 or on Instagram or via email swarnkrita@gmail.com.She creates many other variants of handmade soaps. I am sure you will find something that pleases your senses.